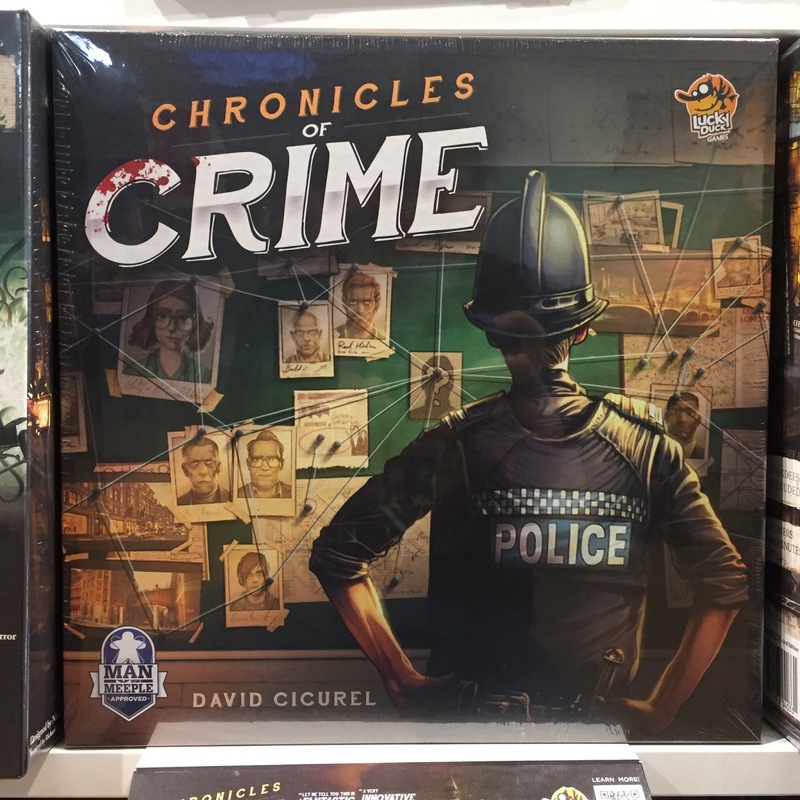 Chronicles of Crime is a revolutionary new mystery game, taking the tradition of games like Sherlock Holmes: Consulting Detective and remixing it with a companion app. 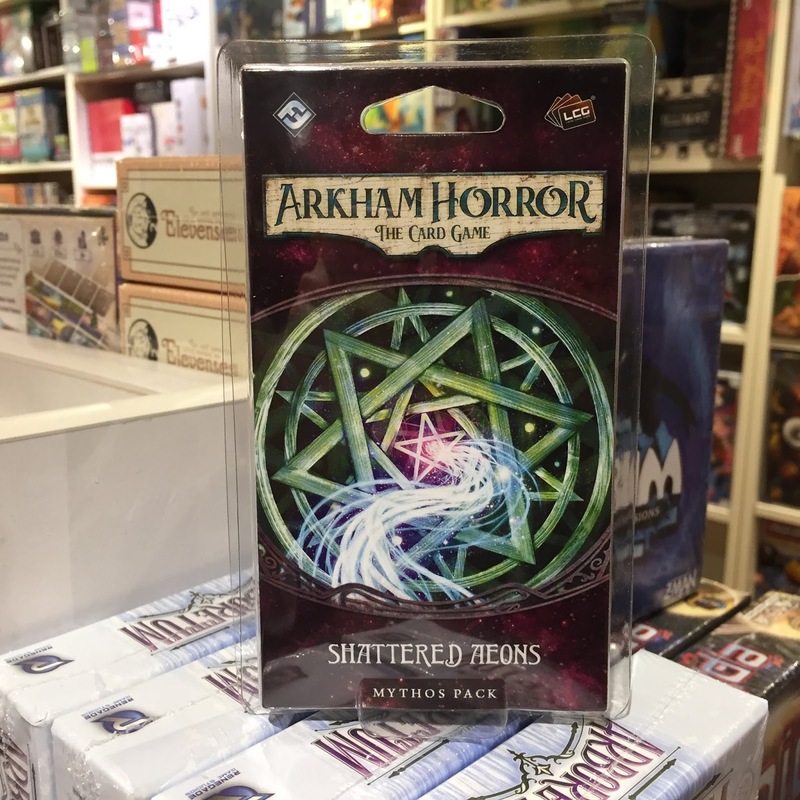 Each card and clue features a QR code that can scan into the app, providing new and dynamic combos of clues for an ever-changing web of mysteries. There's even an optional VR (virtual reality) mode where, with your phone, you can investigate a virtual crime scene! 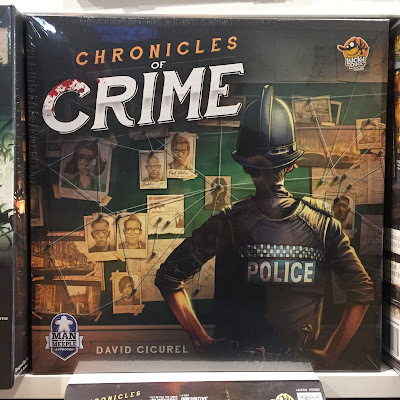 Fans of the mystery genre shouldn't miss this! Folklore: The Affliction is a game of storytelling, strategic combat, and horror. 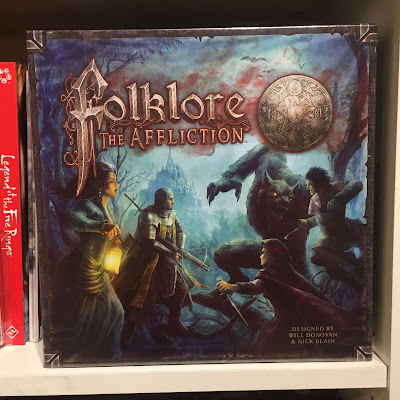 It is a cooperative game for 1 to 5 players, where the players assume the role of one of 6 unique and customized characters that explore the dark world of Folklore. Your duty is to battle the vile Afflictions that plague the land, acquiring lore and discovering the secrets behind them. The session unfolds through chapters, each an hour to two long, and will eventually unveil a full story with branching paths and multiple endings. For fans of strategic combat or story-heavy horror games, this is worth a look. 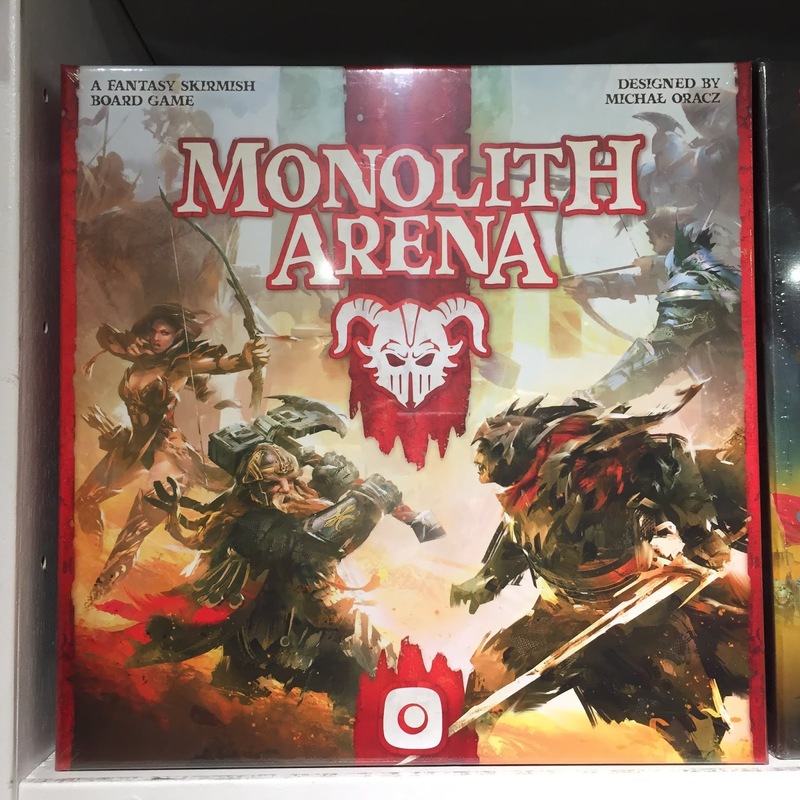 Monolith: Arena is a tactical combat game set in a blood-soaked Colosseum. In this hexagonal death-pit, your fantastic forces will battle to the death, seeking to obliterate the foe's Monolith. Beware: These stone pillars hold dreadful power, and every level taken off the Monolith releases more power. The closer that you come to defeat, the stronger you will get. Riding the edge between death and glory, can you claim victory in the Arena? Shattered Aeons is the final, climactic chapter of the Forgotten Age storyline. Miles below the surface of the Earth, in black caverns that have never known the sun, a strange blue light suffuses the air as unknown power bends time and space to the breaking point. Everything you have built is coming to its end. This is the final hour. Will you solve the mystery before you, or will the age we know be shattered and cast into the abyss? Dominion: Renaissance is the newest expansion to the ever-growing classic Dominion. 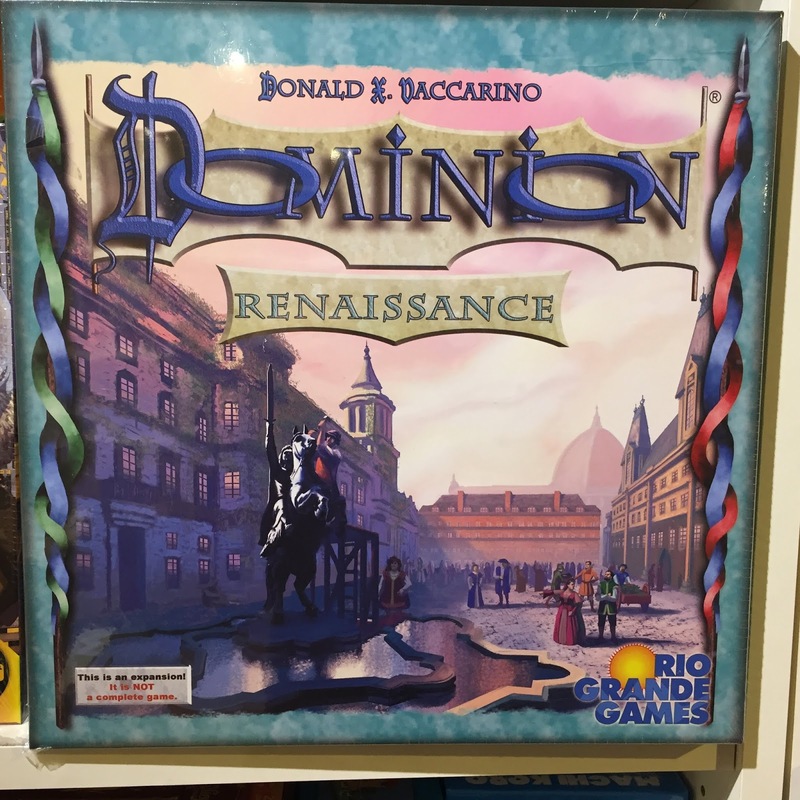 Adding 300 new cards including 25 kingdom cards, this is an excellent way to expand your Dominion collection. 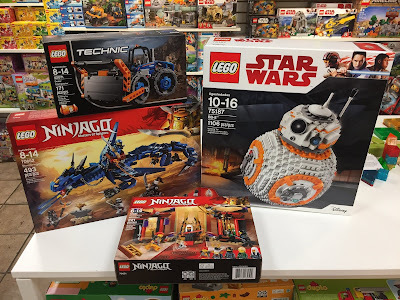 We got two whole pallets of LEGO, including a lot of exiting new stuff. 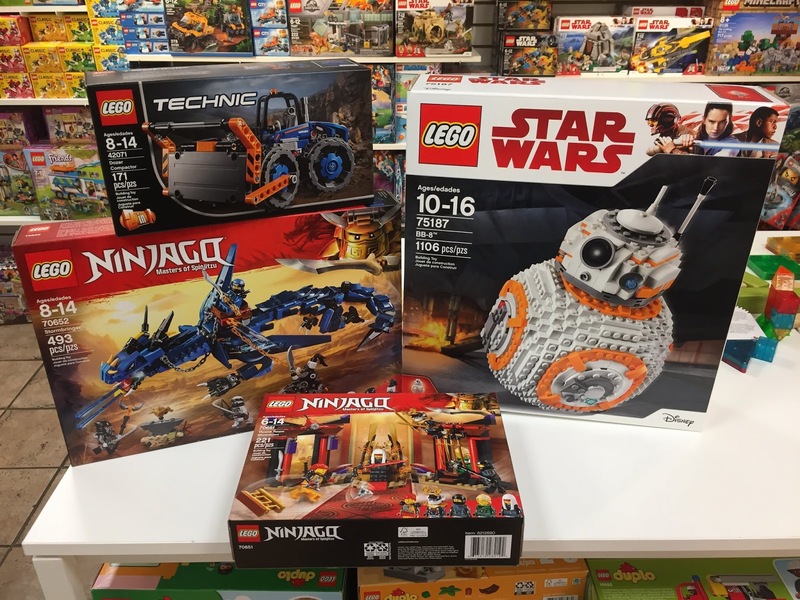 BB-8, Ninjago, and Advent Calendars are now available. Build some holiday fun with LEGO! 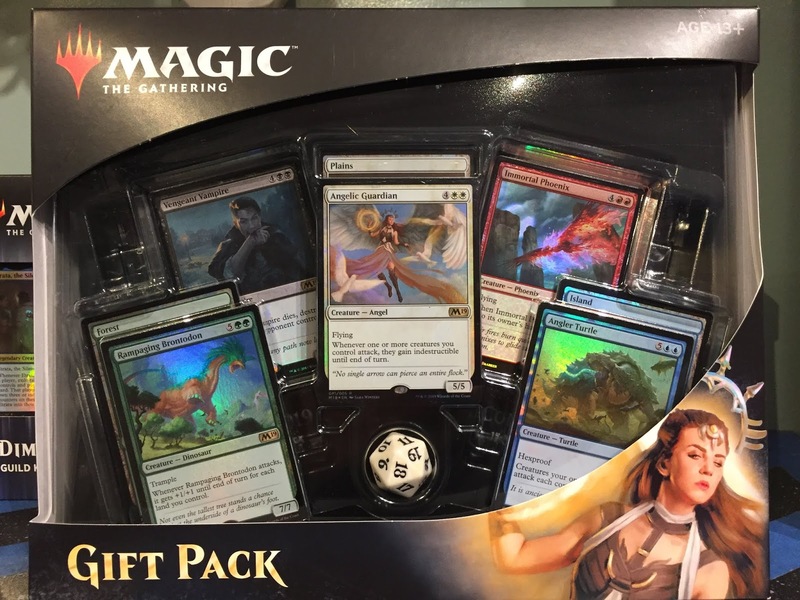 The new Magic Gift Pack is an excellent way to expand your collection. Containing 4 M19 booster packs, a 20-sided spindown die, and 5 lands, the major attraction of this pack are the 5 unique rares, unobtainable anywhere else. The box also contains a code to unlock the 5 rares in MtG: Arena, the only way to get them in the electronic format. An excellent gift indeed for any player, old or new. 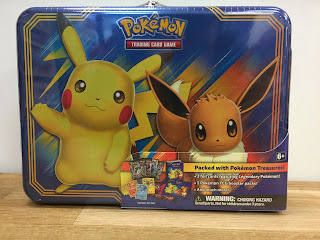 We've also received 3 new Pokemon boxes. The Salamence and Kyurem boxes bring two popular and powerful Dragon-type Pokemon into rotation; each with a giant foil version for display. The Collector's Chest, meanwhile, brings you a battle kit, tokens, flip-dice, a mini-binder, 5 boosters and 3 foil promo cards depicting the Legendary Birds. 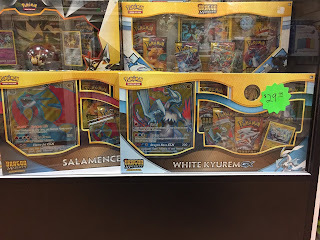 Excellent for collectors or new players alike.